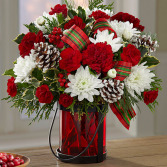 A mixture of red and white flowers in a keepsake lantern vase. A great gift to send a loved one this holiday season. 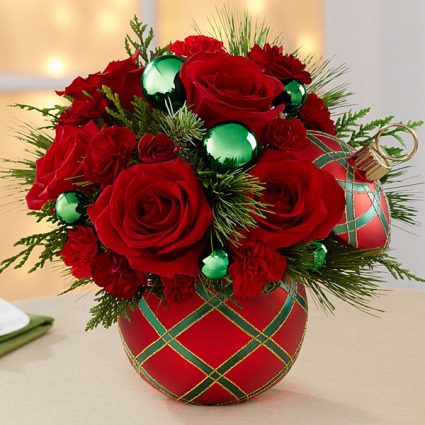 One dozen red roses with a Christmas greens and gold accents. A Christmas spin on a classic gift. 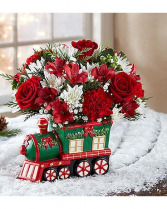 A beautiful keepsake train vase full of a festive mix of red and white flowers. The perfect gift for friends or family this holiday season.